In addition to our long-time fishing program, we're excited to add wild California quail hunting from El Encuentro Lodge during this fall season. 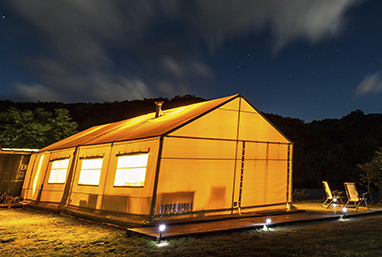 It adds another great experience to complement our legendary fly fishing. You can choose to focus on wingshooting with our trained pointers and expert guides, or combine hunting with fly fishing, for the ultimate 'cast and blast' experience. Our quail hunting program is centered on a robust population of wild California quail which have been introduced to the Chubut Province of Argentina. To date, they have received very little hunting pressure and are generally considered very abundant. We have worked hard to acquire hunting leases on properties that are not only beautiful places to walk but also rich in good terrain, habitat and wild birds. We have access to over 140,000 leased acres which allows us to offer a combination of easy to moderate walking on our hunts with huge quantities of birds. The topography varies but usually involves walking in bushy, foothill-type terrain studded with thorny bushes and sparse grass, as well as valley floors with good cover. California quail are usually found in large covey groups and do a lot of running when first encountered. As these birds typically don’t hold for a point when a large running covey is found, we usually break up the covey on the first flush and hunt for pointed birds on the singles and doubles dispersed around the countryside. We hunt behind well-trained Deutsch Drahthaar pointers, which have proven to be an excellent breed for hunting California quail in this type of cover. Habitat and terrain in this area is generally rugged and a good pair of broken in, sturdy hunting boots is strongly recommended. Hunters should plan on walking a average of 3-5 miles per hunting session and be in relatively good physical condition. Although we are located in a mountainous area, the elevation of our valleys is generally around 1000’ above sea level, so altitude is not a major issue for most of our guests. And, we have no snakes! Be assured these are wild birds who take cover in low scrub brush, and after they're tracked by our excellent pointers, flush suddenly — at which point you better be ready, because these quail are a challenge to hit! While the shooting isn't always easy, we typically flush many coveys of many birds on most days, often producing some of the finest quail hunting you'll find anywhere. We recommend using our guns, we offer Beretta 12 and 20-gauge shot guns for you to use for a small charge. If you would prefer to bring your own gun, as many do, we can help you with the paperwork and getting your gun into Argentina. Please note that it’s a process that requires time and a lot of paperwork so we need to really book in advance. It also demands time upon arrival to clear customs when carrying guns, usually making it necessary to spend one night in Buenos Aires, as connections with internal flights won't work. All shells must be purchased in Argentina. The quality is quite good, and we will always have ample quantities. The cost of shells is tied closely to the cost of lead and fluctuates a bit. Generally you should expect to pay $15/box for 12 or 20 gauge shells. Other than that, you'll just need decent hunting boots for walking, and standard layers for mountain environments. We have orange hats and vests you are welcome to use as well. For those guests’ wishing to fish and quail hunt, we do typically recommend a week-long program (or longer) to allow time to combine the hunting and the fishing, as they may not be in the same immediate area, depending on season and conditions. While the quail season opens on April 1, we believe the season is better later in the year, so we would recommend you planning your trip during the month of April. Or, if you'd like to combine quail with pigeons and doves, May is the ideal month for that experience. 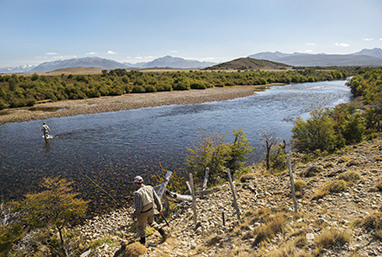 Argentina may not be as famous for quail hunting as we are for trout, but the quality of hunting here we are told is some of the finest hunting found just about anywhere. We invite you to contact us to discuss crafting a quail hunting or cast and blast itinerary for you, your family, or your group.